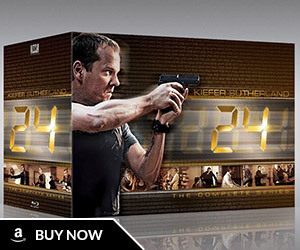 Kiefer Sutherland is asked by “Extra’s” AJ Calloway about the 24 movie and he says they hope to start filming in December or January. “It’s a very difficult thing to take something you’ve done for eight years, almost two hundred episodes, and try to find a story that’s going to be unique and yet service the history of the show as well,” Sutherland said. [..YouTube..] Well is September 2018. Chloe O´brian is head of the new CTU. Jack Bauer is on the run again! That is where season 8 left off ! The film has to continue from there.. I hope they keep it real time..Perhaps the film will be 3 hours long..
[..YouTube..] @davisgreen2020 it’s not going to be in real time. It will be a day. I really do hope they keep it in real-time like Redemption did. [..YouTube..] Torture is so catholic. Christians have no need to torture, for God opens to us the channels of the knowledge. [..YouTube..] @howtoplanaparty : I have never understood why people like you posted such irrelevant comments on totally random and unrelated videos. 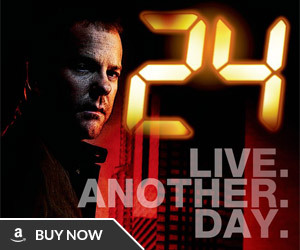 If you don`t like or rather can`t bear watching violence, maybe you should not watch things like 24. End of story!! [..YouTube..] OMG! I have never seen Kiefer on such a bad form! What was going on with him in there? He sounded a bit as if he had a bit of a drink before the interview. 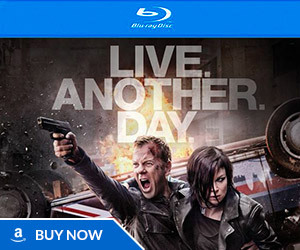 [..YouTube..] i think Kiefer has a new tv show coming out…the ad was in the background. [..YouTube..] a movie is necessary. the finale for the 24 series was epic but it just left so much open that could be expanded on even more. i also think that tony almeida should appear in the movie because i thought his story was kind of left at a loose end at the end of season 7.